To be honest, I was a bit anxious about returning to London’s Borough Market. If you’ve read this blog before, you may know the story of what spurred me into creating it. On 3rd June 2017, I spent the day at Borough Market, stayed at the London Bridge area well into the evening, and left at about 8pm so I could watch the Champions League final which was on television on the same night. About two hours later, I heard a news bulletin which reported that 8 people had been killed and 48 injured in a terror attack, when a car had mowed down pedestrians on London Bridge before the occupants ran into Borough Market to stab innocent people outside pubs and restaurants. Others had hidden under the tables at Katzenjammers bierkeller, where I’d previously been planning to watch the football – if I hadn’t decided to watch it at my boyfriend’s place instead, things could’ve been very different. 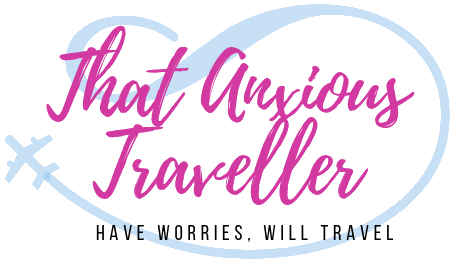 I’m not someone who likes to have things beat me, so that anxiety had to be squished, in much the same way as I created this blog to push me back into travelling. And especially since I’ve been following an awesome anxiety course, I felt like I finally had the courage to go back to Borough Market, and confront my fears. And guess what? It was absolutely fine. It’s a fantastic market, one of London’s best for food, and a perfect spot for a fresh-cooked lunch. I enjoyed myself just as much as I had the first time, on a day that had turned out to be tragic later on. And I felt absolutely safe and secure the entire time; there’s zero reason for you to worry about visiting this wonderful market. By the way, if you don’t have your London hotel yet, please do check out this awesome London hotel guide to grab your room, and start exploring this wonderful city! Or if you fancy checking out the rest of London’s fabulous markets, check out this guide! So, without further ado, let’s get on with the guide! 2 So, What Can I Buy At Borough Market? 3 Sounds Great! When Is Borough Market Open? 4 So Is Borough Market Worth The Trip? 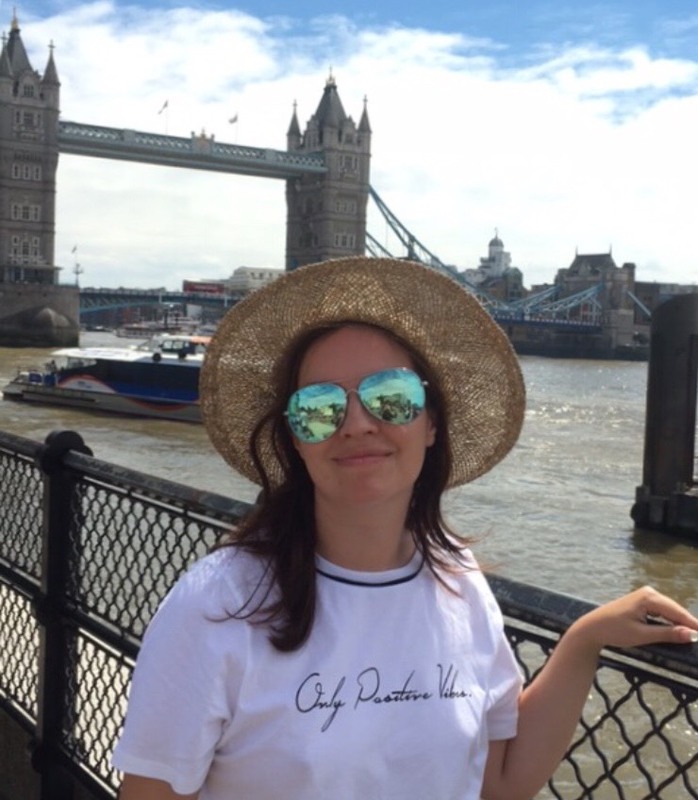 Most guides will tell you to go there very directly by going to London Bridge (either by overground or London Underground train) – it’s a stone’s throw from the station, and well signposted. But, what about taking the scenic route? Borough Market is on the south bank of the River Thames, and a walk along the riverside is a wonderful experience, especially when it’s sunny (for those of you justifiably worrying about the British weather – fear not; it’s still awesome on the less-sunny days, and it gives you an excuse to pop into a cosy pub, right?). Plus it gives you some excellent views of some other London landmarks, so you can double up your day with a bit of sightseeing, and end up at Borough Market for lunch. Consider instead visiting from Blackfriars station. Cross the bridge across the mighty Thames, then turn to walk along the southern river bank. You’ll pass by the Bankside Gallery, the Tate Modern gallery, Shakespeare’s Globe, and the reproduction of Francis Drake’s ship, the Golden Hinde. Not a bad route, right? And you’ll get some fabulous views of The Shard, too! But my personal favourite is to go from Tower Hill underground station. You’ll walk past the Tower of London (feel free to pop in for a visit), cross the world-famous Tower Bridge, and pass the modern architecture of City Hall and the retired battleship HMS Belfast. You can also pop into Hay’s Galleria, a gorgeous space with a small market, before admiring the views of London’s city skyline. Sometimes, taking the long route is totally worth it. So, What Can I Buy At Borough Market? To be honest, it’d be easier to list what you can’t buy at Borough Market. And I’m struggling on that one. Borough Market’s fabulous website gives you an A-Z guide of traders, bound to get you licking your lips, but I’m going to attempt to pick out some favourites for you. With fresh bread cooked just around the corner in Cathedral Street (at their bakery/baking school), you’re not going to find a fresher carb-hit than this. The stall may look small, but it’s packed with breads and cakes which are light, fluffy, and delicious – they’re slow food approved, so you know you’re getting quality. Probably the most memorable of the stalls of street food on the cathedral side of the market, you’ll be drawn in by the quirky name (a reference to a slogan found on the back of vehicles in India) and the bright decor, but you’ll keep coming back for the delicious vegetarian street snacks on offer. As authentic as you can get, short of getting a last-minute flight to India from Heathrow. READ Wellness and Travel - Is Arundel the Most Relaxing and Mindful Destination in Europe? Wanting something a bit more meaty, but without having to compromise on quality? A few stalls down from Horn OK Please, you can whisk yourself off to Italy this time with a Tuscan porchetta-inspired hog roast. This isn’t your average hog roast; you can really taste that traditional rosemary marinade coming through – it’s the perfect lunchtime snack. Possibly my favourite stall in the whole of Borough Market, purely because of the amazing variety of spices you can purchase and take home for your own cooking (trust me, I’ve done some extremely nice curries with spices from here!). If a spice exists, then they probably have it. And they’ll also have everything to go with it, from recipe books to pestle and mortars. I can’t pick between these two – a dazzling variety of fruit and vegetables, and the best place to pick up some ingredients for dinner, or just a little vitamin C fix. Plus they’re worth visiting just to look at the displays; who knew that some fruit and veg could be so pretty? Looking for something a little fancier? And perhaps a little cheesier? Then you’re in the right place. This mini-charcuterie brings you all the flavours of France, from smoky traditional sausages to cheeses with a variety of flavours. Champagne? Garlic? Walnuts? You can buy a cheese flavoured with all of those here. And even better, they’re more than happy for you to give them a try before buying. So you’ve got your spices, your veggies, and your creamy cheese – but what about the main course? Well you can pick it up here : everything on the stall is sourced out in the countryside, before being delivered fresh to the market every morning. Choose from game such as rabbit, hare and pheasant, or pick up some fresh oysters for a truly posh London dining experience. My favourite of all the street food stalls, and the freshest pasta you’ll have outside of Italy. Choose your pasta, choose your sauce, take a number and wait for a few minutes… and voila! Tasty and filling, especially on a chilly day, you can also buy pre-made pasta to take home and enjoy in your own time. Make sure you get there early to try to the gnocchi; it can sell out! The thought of all that pasta given you a hankering for some fine Italian food? Well then, you’re in luck. Gastronomica has a dazzling variety of foods, from delicious fresh buffalo mozzarella, to Italian hams, to dried and tinned foods for Italians missing the brands back home. Make sure that you buy a panino from the counter at the front; they’re wonderful! That’s just a small taster (ha!) of what Borough Market has – you can try everything from Balkan to Ethiopian, from Thai to Caribbean. And of course, some good old London fish and chips. Sounds Great! When Is Borough Market Open? You’re in luck, fair reader! Borough Market is open six days a week, except between Monday 4th December to the New Year, when it’s open seven days a week – c’mon, you know you want to visit and experience the Christmas festive spices! Bear in mind that it’s closed Christmas Day and Boxing Day, though. As you’ll see, Mondays and Tuesday are Limited Market days – this basically means that not all of the stalls will be open. But don’t let this put you off too much, there’s still plenty there. My most recent visit was on a Monday, and I found plenty there to fill myself up with! All of the stalls above that I’ve listed are open on Limited days, so you can see how much variety you’ll still have. So Is Borough Market Worth The Trip? For me, it was something I had to do to banish the previous fears, and I had no problems at all. I even went and had a drink at Katzenjammers. With that previous association gone, Borough Market is now just what is should be – the best food market in London, and a brilliant place to explore and try out some new foods from around the world. It should definitely be high up on your London to-do list! 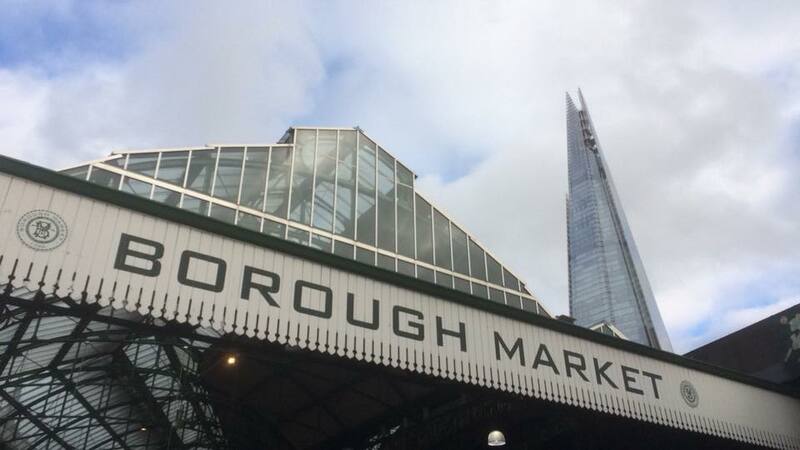 Been to Borough Market? Let me know what you tried there in the comments below! I miss borough market. It is sometimes super busy and pretty overpriced, but the food is all just sooo good! I dread to think how much we spent there while we lived in London! Mine’s the dosa! Lovely place, and definitely somewhere it’s always worth visiting. I’m glad you went back. Without wanting to sound as though I’m me too-ing, I’ve been in a similar situation, although several years ago. Revisiting was definitely the start of recapturing the good memories of places I loved.